Beautiful Single Story with all the Upgrades You Would Desire. 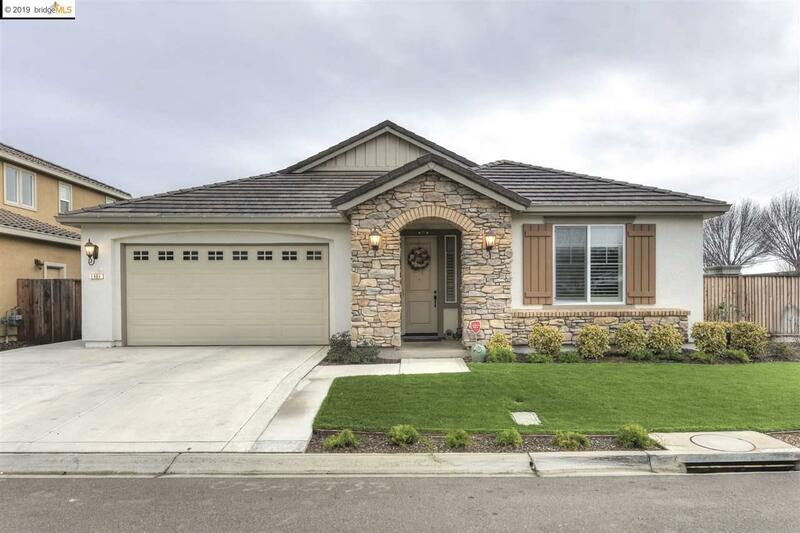 This is A Highly Sought after 4 Bedroom/3 Full Bath Model w/ California Room & Exterior Fireplace. Features Include Gleaming Marble Floors, High End Kitchen w/ Matching Refrigerator Included, Plantation Shutters, Tankless Water Heater, Solar Panel System and a Spacious Finished Backyard w/ Large Sideyard.. Shed Included Too! Come Take a Tour of This Immaculate Home..You Will See the Pride in Ownership in Every Detail.